Quite a few places in North America like to use the nick-name Hockey Town but Detroit always comes first to mind for me. The home of the Red Wings, the Joe Louis Arena is down the west end of the Detroit River Walk. 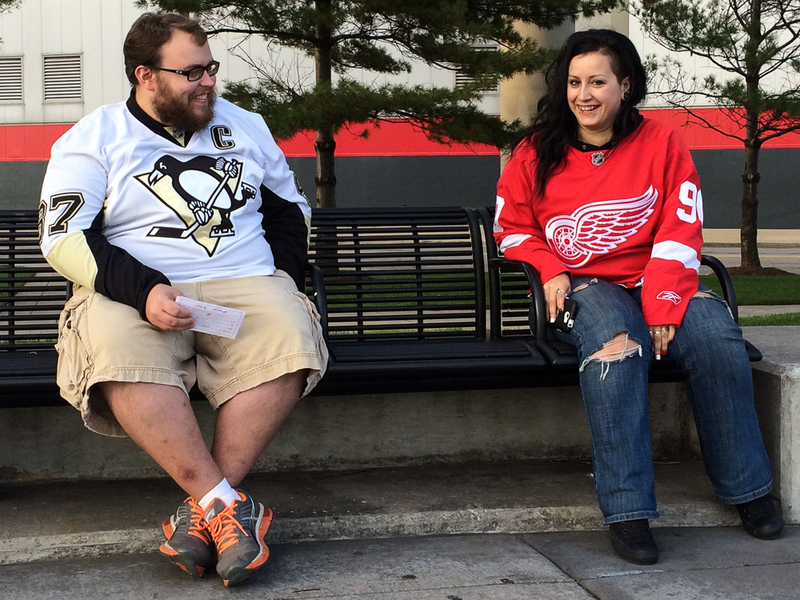 Running along here around the start of the NHL season, I came across two friends sat on a bench. One was a local team fan, the other a Pittsburgh Penguins supporter. There was no doubt about his favourite player, #87 Sidney Crosby. But who was the lady a big fan of? My best bet goes with the current owner of #90, Canadian centre-man Stephen Weiss. But maybe it has the name on the back of the only other player who has worn that number for the club? Mike Modano, the most prolific American goal scorer in NHL history, played his last season with his home state Red Wings in 2010-11. The Riverfront is a fine place to go running and a symbol of the ongoing regeneration of Detroit. Eventually it will be built along five or so miles along the Detroit River with its international views of Windsor, Canada to the south (yes, Canada is south from Detroit!). 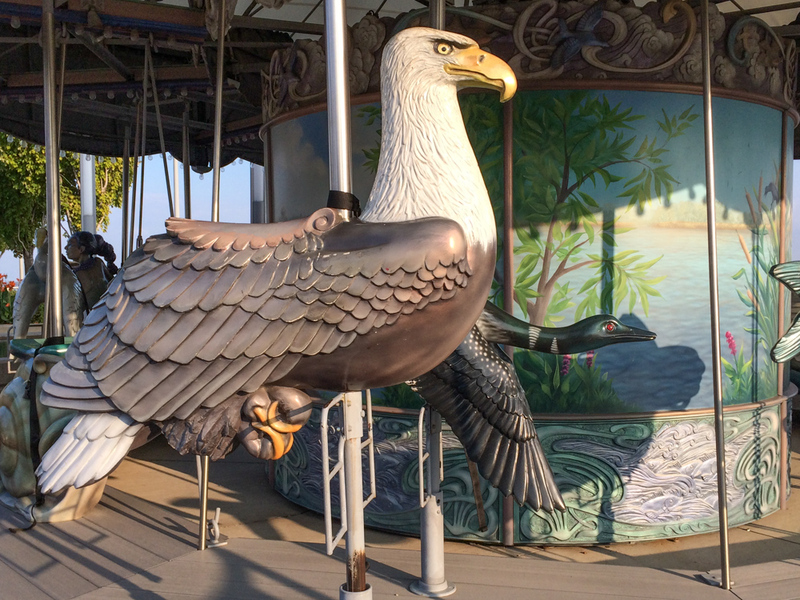 For now, I settled for a run past the carousel with its unusual rides like an American Bald Eagle, and the GM Renaissance Centre. This group of seven interconnected skyscrapers, built in 1977 is the world headquarters of GM, one of the “big three” car manufacturers in Motor City.